Post subject: Best Song Ever performed live? That was a short thread. The late, great BennyBoy used to rave about a live "Idiot Wind" in the Rolling Thunder tour, I think in Colorado, that I would probably agree with. That song delivers his venom in words and performance like no other, assuming venom is your cup of tea. It of course stands on LARS's shoulders, but is superior, in my view. Splitting hairs, of course. Anyone who doesn't get this, or who doesn't like 'Oh Sister', for that matter, well you can just go and join Donald on the naughty step. Bob's guitar sounds tinny (can-like), could be bad/dull/EoL guitar strings, poorly mic'd or might be an issue with the way the audio was captured [tv source?]. Good version, I do like. What I wish would happen is that..well.. Why won't Sony/Columbia Records release a complete show from, the '66 World Tours...We always see snippets of Tambourine Man, or She Belongs to Me, LARS, etc to name a few. I think there are a few singles, like LARS & MTM, that circulate, but they never stick around youtube for long. Always get just a clip. Even the Newport incident exists in full video form + soundboard. Mr Tambourine Man was floating around for a bit, where Bob had come back in tears and asked for an E harmonica. I mean, 66, 75, 76, and probably 78 & 79...There is an abundance of material from these years that has never circulated or otherwise is very rare. Trouble No More definitely show-cases some top-notch Bob performances on Video with soundboard. Anyway,,,these are all in the running imo for best song[s] ever performed live..
[Pressing On] - Bob's ending at the piano is priceless. Someone misses their cue and he lets it be known. I think there is more Clydie King & Bob material that has never seen the light...At the very least in audio form. Rocks and Gravel, one of those early tapes, probably Gaslight Cafe, IIRC. We all know it's Idiot Wind. Mods please delete this thread. To each their own, really. I'm not really a 60s live Bob fan. It might be blasphemy, but I really dig 70s and current day Dylan (current being mid nineties to now) and would take them over 60s Dylan any day. 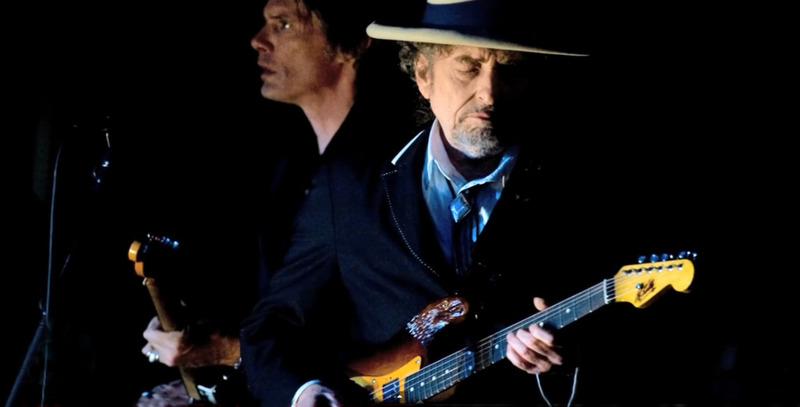 That also applies to studio performances, but I really don't go back to live 60s Dylan often. However, there's a performance of Desolation row from 65-66 that's really mesmerizing, and that era definitely has its perks. It's insane that they all are so good, especially in my mind because I think the studio takes are perfect. "dylanswife" also linked a ton of good gospel performances. Pay in Blood from 2015 was also awesome (can't remember where exactly). Too much to choose from, what a great problem to have! I must give love for Shelter at Roseland 1994. And Wolftrap 1991, for that matter. All your political-thread, uh, droppings suddenly make sense. Not, of course, in terms of ideological consistency, no, no, no. I mean in terms of behavioral tendencies. - Seeing the real you at last. I always have to listen to the whole of Side 2 of Hard Rain: 'Idiot Wind' is the climax to the tempest but the storm starts much earlier, and you have to be already drenched and shivering before that 'Idiot Wind' can fully penetrate to your bones. Similar thing with the '66 'Rolling Stone' - it's the final scene in a piece of performed drama and without the rest of the electric set it's like watching the shoot-out at the end of High Noon without experiencing the tension of the build-up. So neither of those songs qualify as the single BEST SONG EVER performed live because they need their context to be fully appreciated.